Are you one of us gals totally infatuated with 1930s & 1940s vintage shoes - but find it hard to find them in your shoe size? Well, here comes the next best thing! 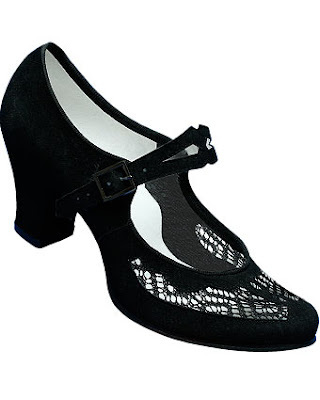 I recently came across these Aris Allen shoes at DanceStore, which are exact repros of vintage shoes and they certainly look to be pretty authentic looking! They come in a variety of sizes AND the prices aren't bad! 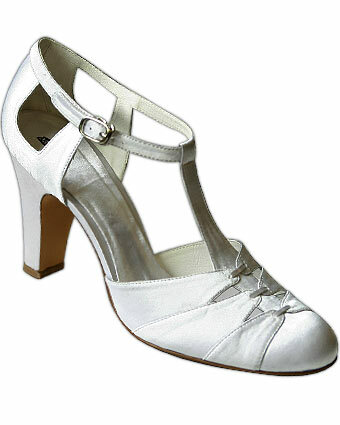 Now, these are swing dance shoes so I'm not exactly sure how well they hold up in everyday use - but perhaps some of you know? Now, to be able to decide which pair to get... They're all oh! so very gorgeous, aren't they? Miss Matilda - I surely will! I've actually emailed Aris Allen to check and see before going ahead and ordering a pair. I love the white satin........! FairyFiligree - Me too! It is probably my favorite of them! Fiona Timantti - Yes, they're so stunning! 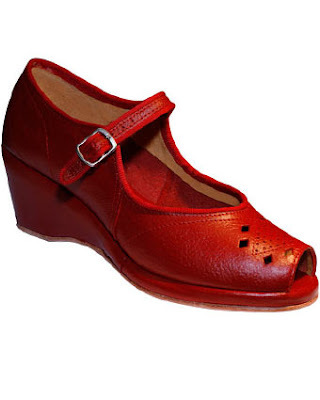 They have sueded soles so they'd be rather slippy when you walk but I don't know how they'd hole up for everyday wear. I want a pair for dancing! Andi B. Goode - Ooh, thank you for letting me know. I don't dance so I would have gotten them for everyday use, basically. I have also emailed the company with questions, but have not heard back. What e-mail address did you use? The leather soles will hold up okay during indoor and dry weather wear. They will absorb some water in the rain. The soles can be a bit slippery on carpet or hardwood flooring. A shoemaker can easily put a rubber sole on the bottoms. The shoes will last longer and be non-slip, too. Also the satin white(and black) t-strap comes in a 'street' style (rubber soles). Good luck and let us know how it goes! Lorraine - Many thanks for the valuable information! I will definitely look into ordering a pair for myself soon. Dance shoes are /not/ supposed to be worn outside! 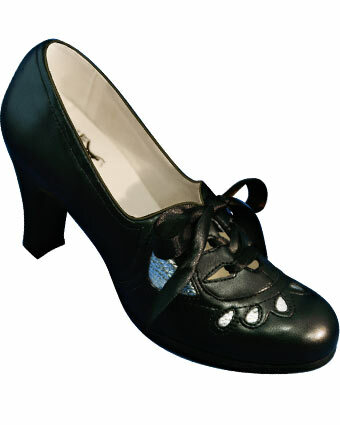 Dance shoes have either suede or soft leather soles. Suede and leather soles are designed for spinning, sliding, quick movement on hard wood and dance floors. Regular shoes have hard rubber soles designed for traction and durability. If you wear dance shoes outside, the soles will get /wrecked/! Dance shoes are only designed to last 1 year max anyway.